Leading ticketing, fundraising, and marketing platform PatronManager will be featured at two national arts conferences this summer leading educational sessions for conference attendees. Being able to introduce creative ideas in managing customer journeys for the arts community is an important dialogue. Leading ticketing, fundraising, and marketing platform PatronManager, a Patron Technology product, will be featured at two national arts conferences this summer, where two prominent executives will lead educational sessions for conference attendees. Robert Friend, Vice President, Business Development & Consulting at PatronManager, will be presenting a session titled "Transforming Patrons to Evangelists: A Hands-on Customer Journey Mapping Workshop" at the TCG National Conference in St. Louis, which will take place June 14-16 and bring representatives together from 700 member theatres around the country. This hands-on workshop introduces a strategy that shifts how patron relationships are managed and delivers innovative tools that transform patrons into long-term invested partners and evangelists. Kevin Patterson, Senior Account Executive at PatronManager, will be presenting "Beyond the Numbers, Engaging Your Patrons through Patron Journeys" at the Opera America Conference. Also being held in St. Louis, Opera America will welcome more than 500 opera professionals, artists, trustees and industry stakeholders from across North America June 20-23. This interactive session will dive into investigating why and how patrons engage with an arts organization, and how those organizations can serve as a guide and curate the patron journey to increase engagement. 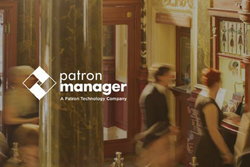 PatronManager’s mission is to revolutionize the ticketing industry by providing arts, culture, and live entertainment organizations with integrated world-class customer relationship management, box office ticketing, fundraising, and marketing solutions, built entirely on the world’s most advanced cloud-based CRM platform – Salesforce. PatronManager has been the fastest growing platform for arts and culture organizations in the U.S. Over 700 organizations use PatronManager, primarily symphony orchestras, theatres, opera companies, dance companies, university performing arts centers, and museums. For more information visit: http://www.patronmanager.com. Patron Technology provides integrated, industry-leading technology that enables its live event organizers to create deeper and more profitable relationships with their ticket buyers, fans, and supporters. Patron Technology’s products include PatronManager, ShowClix, Ticketleap, SeatAdvisor, and Greencopper. The high-growth company is actively engaged in building a fully integrated event technology solution of complementary products that deliver a data-driven, holistic understanding of customer behavior: http://www.patrontechnology.com.